CASSACA is co-sponsoring a conference on “The Soul of High-mass star formation”, which is to be held on March 15-20, in Puetro Varas, a beautiful port city in South Chile. During the last decade many large-scale surveys (e.g. GLIMPSE, ATLASGAL) led to the identification of massive star formation regions in their earliest stages in our Galaxy. These have been observed with new instruments, in particular massive Herschel data has been taken to characterize physically and chemically the most embedded sources on moderate to large spatial scales. Today, when ALMA will soon begin full operations opening new windows in frequency, chemistry, spatial resolution, and sensitivity, it is timely to discuss our current understanding and open questions on massive star formation. For more, please visit http://www.das.uchile.cl/star-formation. 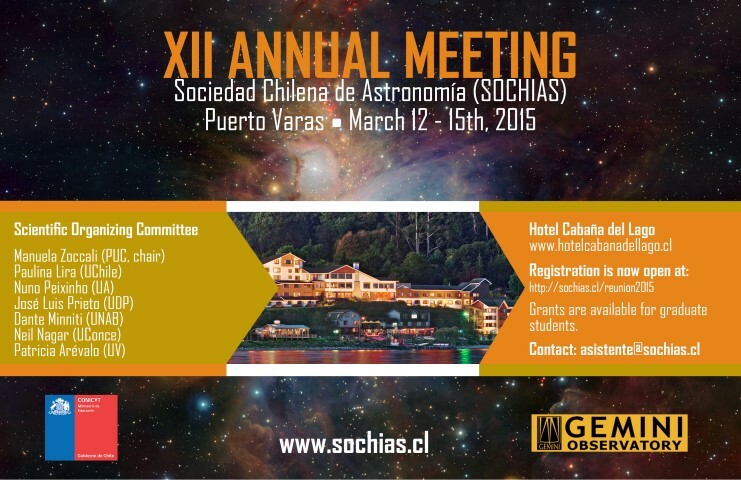 CASSACA is co-sponsoring SOCHIAS XII annual meeting, which will be held during March 12-15th, 2015, at a beautiful port city Puerto Varas. For more, please visit http://www.sochias.cl. 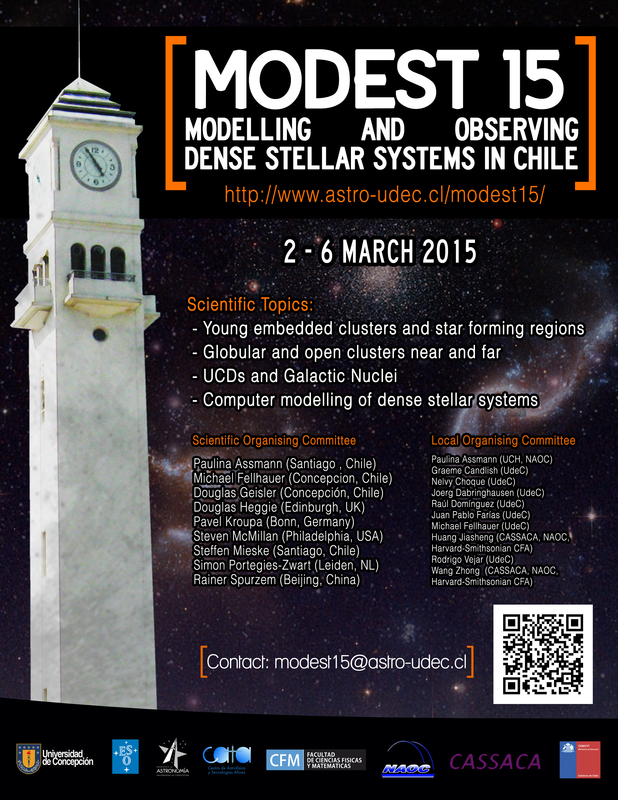 CASSACA is co-sponsoring 15. meeting of the MODEST community (MODEST15) in Departamento de Astronomia at the Universidad de Concepcion, in Concepcion, Chile at the 2nd – 6th of March 2015. The aim of this meeting is to provide a comprehensive software framework for large-scale simulations of dense stellar systems, within which existing codes for dynamics, stellar evolution, and hydrodynamics can be easily coupled and compared to reality. For more, please visit http://www.astro-udec.cl/modest15/index.html.